Working together isn’t simply about contracts. It’s about connection. We believe in our clients. We’re excited about them. We are on their team and they, in turn, are a part of our team. Get to know our clients and you’ll get to know us. 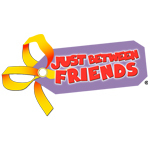 Arpeggias Just Between Friends Franchise Systems, Inc.
Seeking Sitters Franchise Systems, Inc.